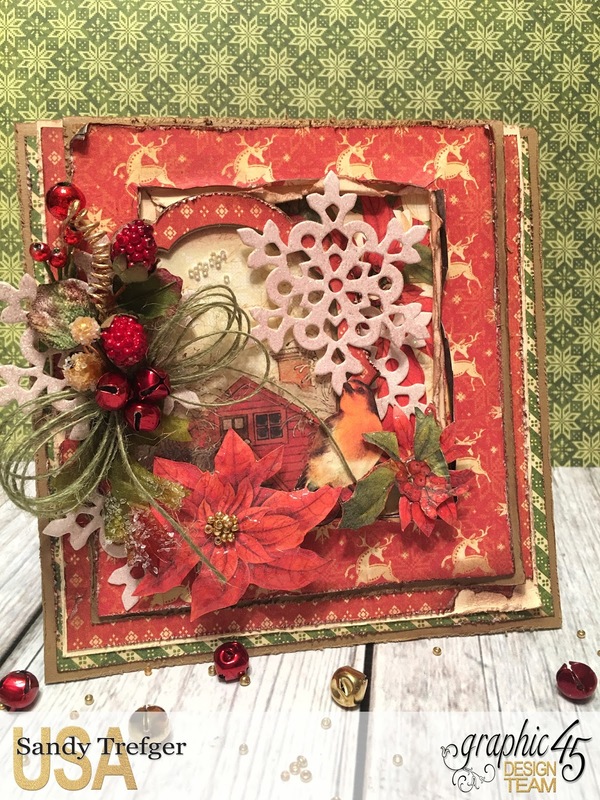 Lets start the 2017 Holiday Season off with this Winter Wonderland Collection by Graphic 45. 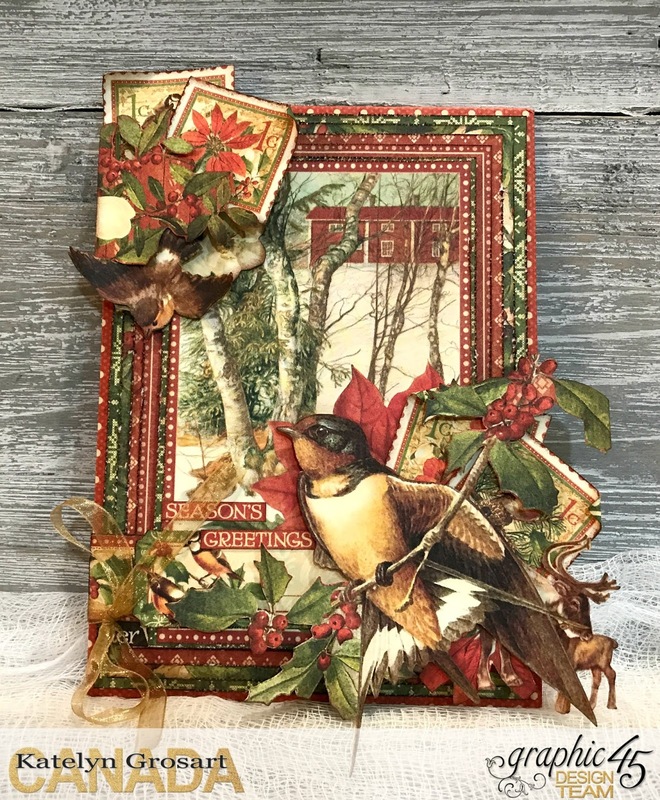 This collection will bring out the feeling of being in the woods with the little red cabin, holly berries, birds and poinsettias. This collection brings out that real warm rustic kinda feel. Kinda like you need to be drinking some hot chocolate by a fire at the cabin in the woods. With 8 double-sided scrapbooking papers in the collection being available in 12 x 12 and 8 x 8 paper pads. There is also the 12 x 12 patterns & solids so that you can always have that perfect color match to coordinate with the prints. The collection of course also has the ephemera cards, chipboard and sticker sheet available. No stamps with this collection. Take a peek at a couple of great projects by Katelybn Grosart and Sandy Trefger.